Do you like a little thrill in your travel? Eating something crazy, checking out the wrong side of town, or even ... skinny dipping? 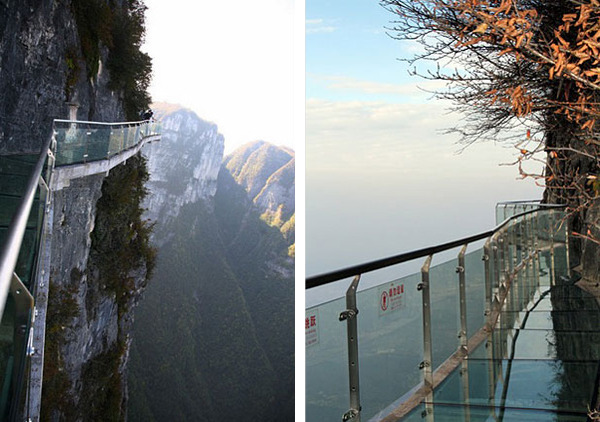 How about walking on a tiny glass bridge 4,690ft high on the side of a mountain? Now, that sounds like a thrill. 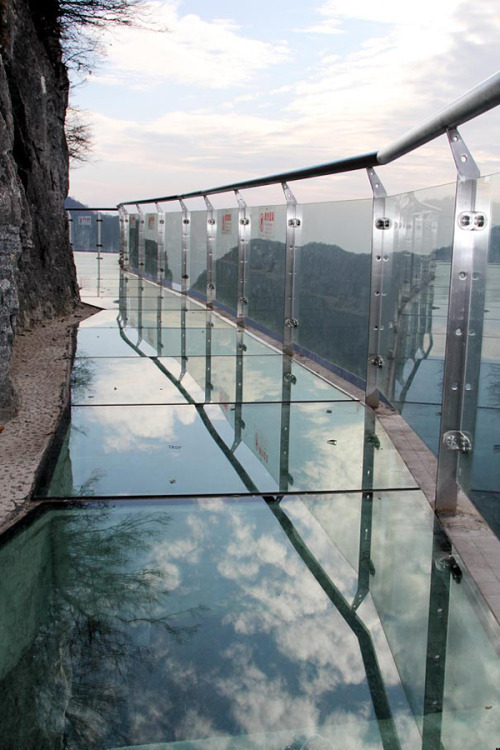 Located on China's Tianmen Mountain, this wisp of a bridge is appropriately called "The Walk of Faith." I ran across these images this morning (over here) and thought I'd save them for a day when the beautiful phrase "Walk of Faith" fit with something going on in my life. DING DING DING (universe calling). Turns out today had a perfect connection. I've been putting myself out there, telling everyone - and most importantly, myself - that I'm open to a change. And finally, after months of static on the line, a few wheels started turning today. No big announcements or anything like that- just a few little hints that things may be on the verge of happening. So yes, I am totally treading the walk of faith today, believing that what I'm asking for will come along in due time. One foot in front of the other, eyes ahead, and don't look down. * All photos via here. Have you been on any walks of faith lately? 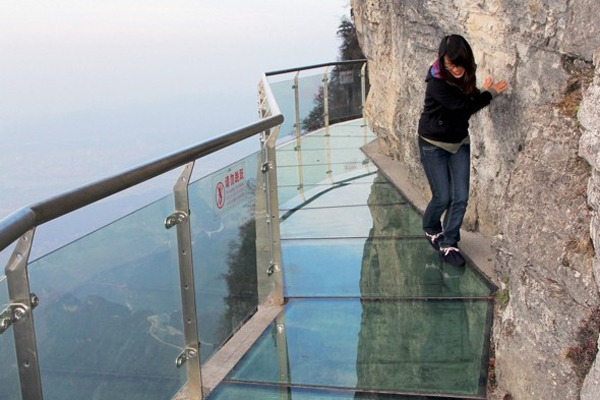 Or just done something really frickin' scary like walk on the side of a mountain??! Do tell. OMG. This looks terrifying! What little signs did you get about "something" happening? Just getting some networking and things going ;)Knock on wood. Who built that bridge and how did they do it?